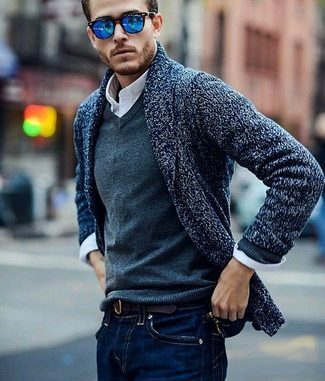 Most men prefer wearing a shawl cardigan to a non-shawl due to the build-up it gives the chest and the flattering silhouette around the upper body area. 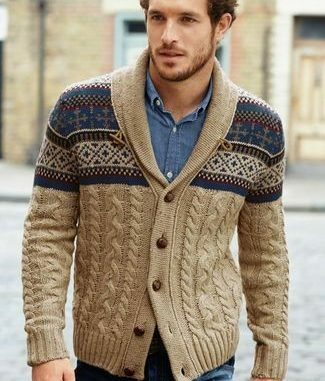 If you appreciate the look of a shawl cardigan, you can check out some of the designs here. 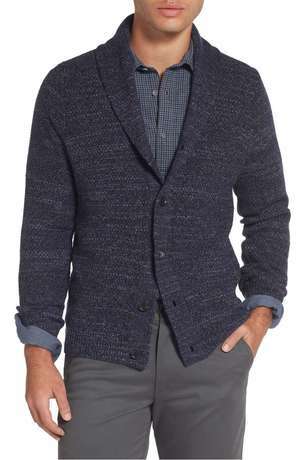 You can style a navy-off duty dressing by combining your navy blue shawl cardigan with black jeans. 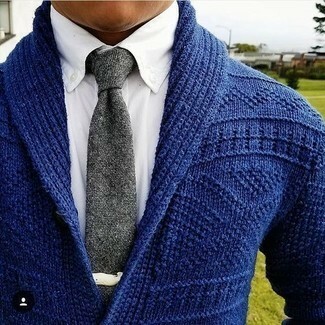 Have a crewneck underneath. 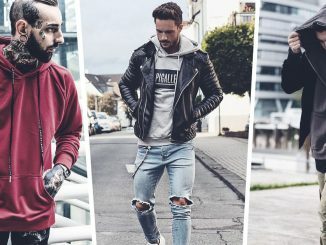 A white crewneck or a striped crewneck T-shirt is good either ways. 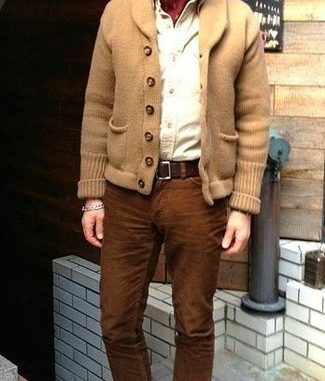 For footwear, go casual with a beige canvas high top sneakers. 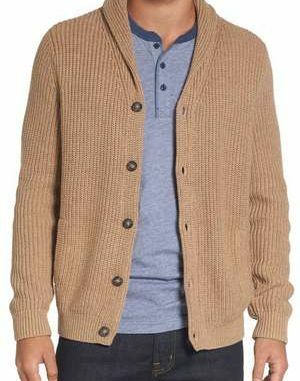 This is another shawl cardigan that oozes effortlessness in a relaxed sophistication. 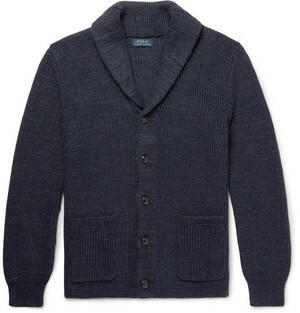 This collar cardigan can be used at work and even on weekends. 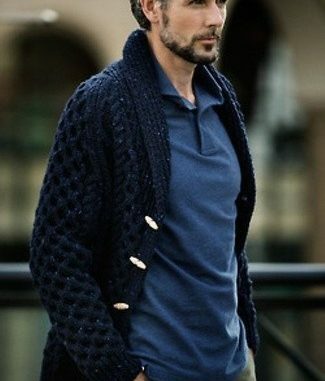 Styling men’s wear, once they are in navy blue, is a bit easy. 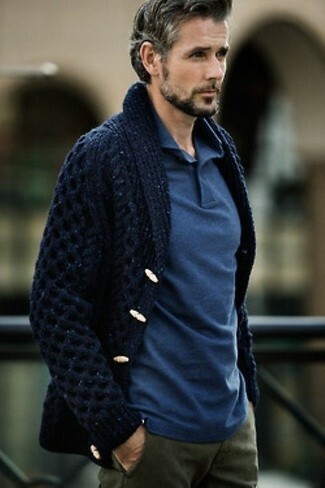 Navy blue is versatile and it will always look good on anything you pair it with. 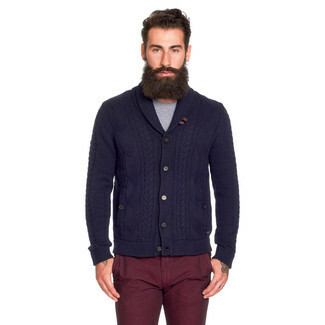 You can wear this navy shawl with a navy blue jeans and pair it with a brown Chelsea. 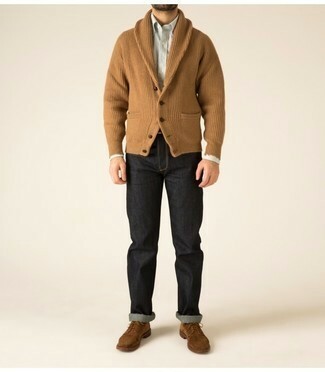 Or you can flip it over by pairing it with blue jeans for that casual feel. 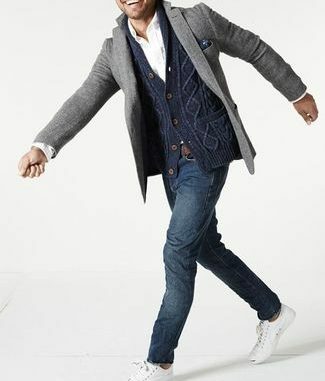 To break out of the mold for the weekend, a good pair of white low top sneakers will do the trick. 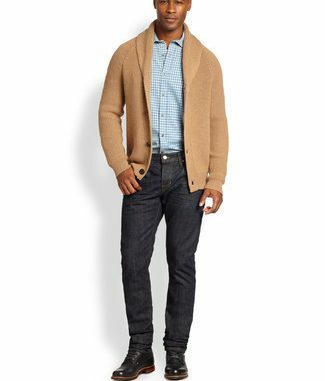 The Chunky Shawl Collar Cardigan is very roomy and soft. 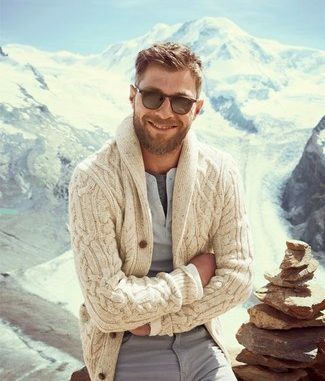 It keeps you warm and toasty. 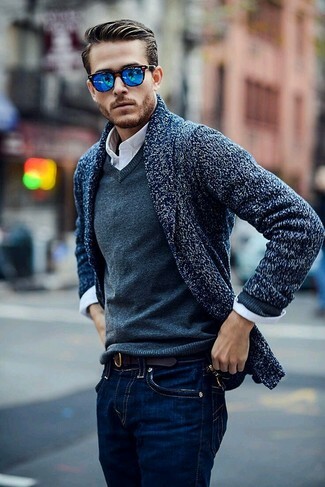 It’s versatile as well – can be worn on workdays as well as weekends. 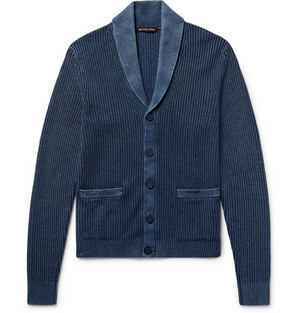 This Chunky Rib Shawl Collar Cardigan can be worn with a blue henley and dark denim depends on your preference. 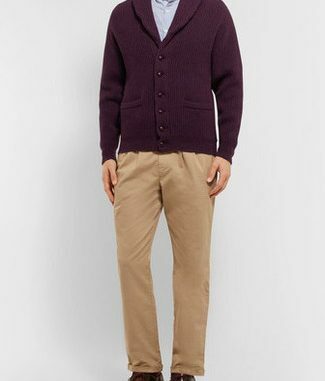 You can also look a bit more interesting by pairing it with an oxford and corduroy trousers. 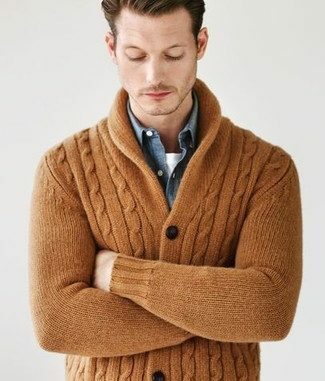 A proper way to pamper yourself this season is with a rib knitted wool cardigan which comes in a luxurious burgundy design that adds depth to your outfit when you step out. 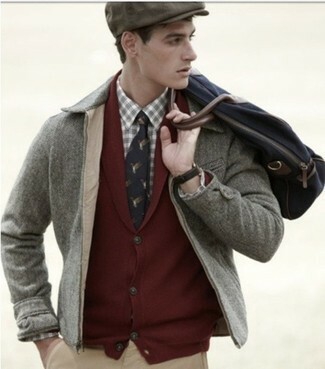 The first thing you should know about the color burgundy is that it is bound to attract attention on its own. 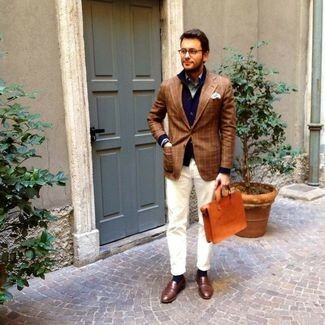 So, you will do yourself a lot of good to pair it up with basic items in neutral colors. 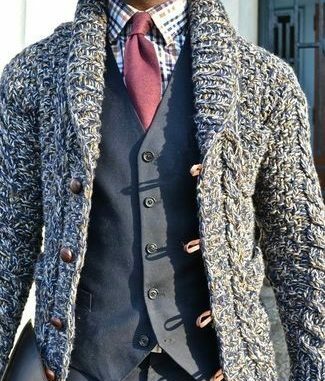 Grey or beige are two good examples that you can go with. 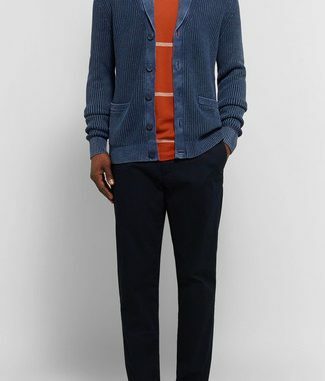 The Cordings Shawl-Collar Ribbed Wool Cardigan can be worn on a camel chino pants. 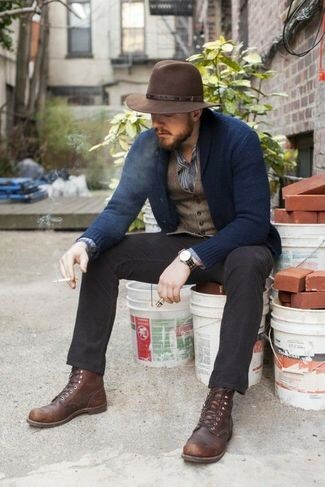 For footwear, you can go for a pair of dark brown leather chukka boots. 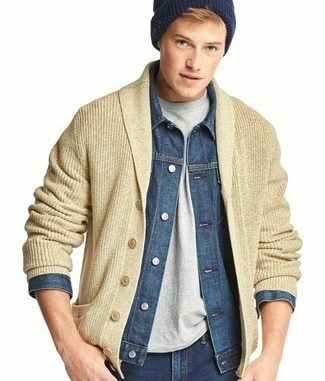 Navy shawl cardigans are a classic piece for men and it doesn’t hurt to spice your look a bit if you have them in your wardrobe. 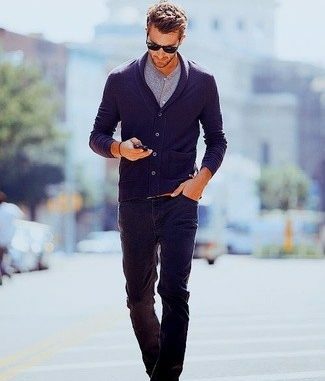 You can layer it over a brightly colored t-shirt. 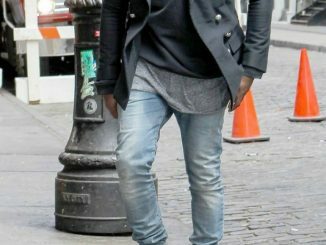 For footwear, go with low top sneakers. 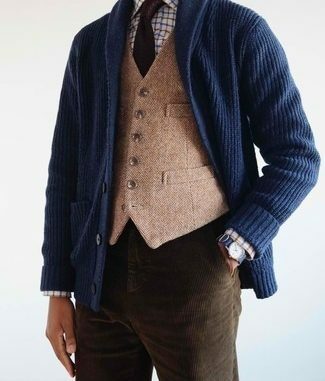 Or for a dapper look, layer it on a shirt, tie and waistcoat combination. 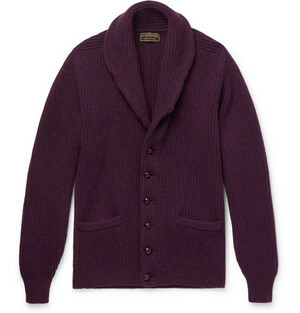 Finish it off with a corduroy for that refined ensemble.